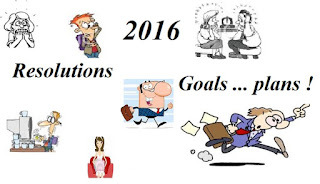 The Dove's Corner: A Nail biting finish through the Year end ritual ! A Nail biting finish through the Year end ritual ! This one’s not going to be too long…I understand the excitement that’s brewing, now that 2016 is almost at our doorsteps.. , and we are earnestly looking forward to it. It’s getting more and more intense and bit confusing too- what with so much readymade material from all disciplines be it neuroscience, psychology, life coaching, counselling, …name it and both print and social media alike - are booming with “Hit your sixes without a miss in 2016” type of products staring at us regularly – some even with money back guarantee ! All experts dishing out their best concoctions of what our resolutions should be and how to ensure time bound success! In fact we all seem to be having more than our fare share of facts and advice oozing all around, and there seems to be a bigger task confronting us - of choosing the best out of them and not proving guilty at the end of 2016 of having remained where we always were! I couldn’t resist sharing my own ideas and hence this one for making it a bit easy and less nerve racking ! Each to his own, whether you make it a year end – year beginning or an all year round custom - defining your goals , defining your purpose is a wonderful thing to do. I choose to talk around “Happiness “ – the all-encompassing evergreen quest of any average human! Hope that makes it simpler in formulating your own agenda .You have probably read a lot of stuff on the internet already about how to find happiness too, and you're still not jumping for joy. I'm with you. I want answers .As I continually read and refer to enough of research articles on the subject myself and centre my work around it basis lot of feedback that I receive from the people I work with ; I have concluded that a lot of what all of us read about becoming happier - counting our blessings, gratitude, prayers, doing good for others... all those clichés and traditional folk tale wisdom – are actually true , work for most and often confirmed by psychology as well. However, the fact remains that not all of us follow through and there’s more that addresses the real issue. There can be no one size fits all formula and the best method is the one that clicks for you alone. Let me give a three pronged approach here. - what could be your best version of yourself and articulating your Goals around it is definitely the best starting point. In fact research shows that thinking about your best possible self doesn't just clarify goals -- it can also make you happier just by thinking about it. However the catch here is, it may not be a lasting one because we eventually adapt and build habits. Actually, our happiness really lies inside of us, and so people who aren't happy for example, at their current job probably won't be happy at their next job either. We carry ourselves - our own inner self - from one job to another. The fact is that most people are not really aware of the power of habits and a sensual adaptation. Researchers looked at people who suffered terrible accidents and ended up in wheelchairs. Eventually, they adapted and were happy again. But researchers also looked at lottery winners – people eventually adapted to that too ! We all start taking things for granted..
b)Variety is the spice –New! Different! Surprising! Habits are great for getting things done and they make our lives much more efficient. But because of our inherent tendency to adapt, habits can be a big problem for happiness -- you can get in a rut. But there's a solution- to get around this too – the solution is to get some variety and novelty in your strategy. Make sure you get to do new, different and surprising things and break the monotony, break the habit! While charting your action plan- try different angles …lest you settle in that comfort zone where nothing and no one really ever grows! Feeling stale in your study –go to the movies, cook some new dish. Get to learn new things – work out some surprises .Grab that special someone and maybe take Salsa lessons. Or go cycling.If gratitude isn't doing it anymore - try bit of indulging - the kind of things that can lead to more surprises, again in a positive way. To beat laziness and complacence of routine, we need to keep things fresh. c) And one more bit of a trick that definitely weaves magic! Ask yourself: "What would I do if this were my last year?" When you feel like good things are going to end, it dramatically shifts your perspective. You take advantage of opportunities. You do the things you know you love. You get off the chair and see those people who mean so much to you. Answering this question has power and it gets you very close to what really matters to you! Maybe that trek you wanted to go…that house in the countryside you want to own..those promises you wanted to fulfill to your loved one. So ask the question -- and then do that stuff. It makes you become realistic about what you can get done by setting a realistic boundary! Okay, so lots of stuff here and I don't want this to be yet another internet happiness list that doesn't produce results. 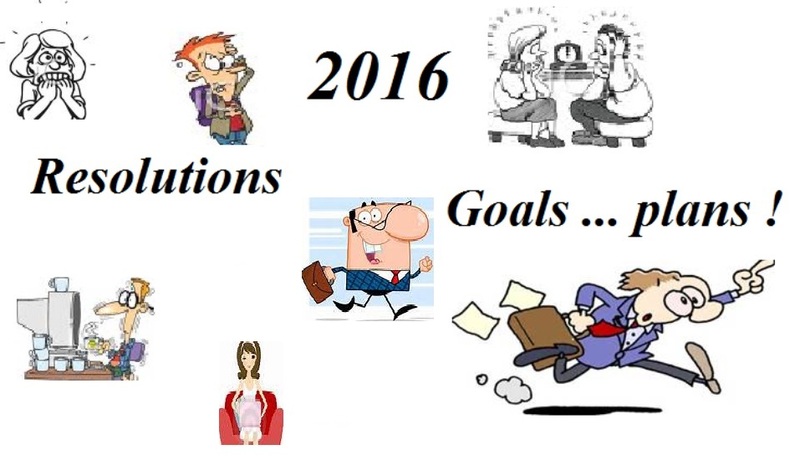 Let's round this up into something you can use...while making your 2016 Happiness Resolutions - start by visualising your own Best Self , build in Variety and Surprise and last but not the least, revisit by asking yourself if this is what you intend to do if it were your last year ..and do that stuff ! Have a rocking New Year and just go for it and get it done this time… Remember Happiness is an Inside Job, and You have to find the strategy that works for you !